1 Find A Grave, (accessed 02/05/2015). 2 Roberts, Gary Boyd, Notable Kin, Volume 2 , Santa Clarita, California: Carl Boyer, 3rd (1999), 42. 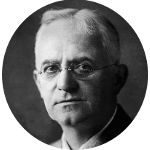 3 Wikipedia, "George Eastman", (accessed 02/05/2015).